Finally, after weeks of auditions, rehearsals and heats. We have reached the final of the 2017 Totally Talented competition. 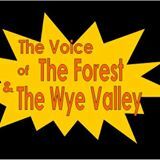 The singing competition open to people aged 11 to 19 years from The Forest Of Dean and Wye Valley area. Following the great quality of finalists over the last few years, this years final proves to be the most hard fought yet. Come along and see the stars of tomorrow – today!